The second card in the series belongs to Howie Dixon, who passed away at the end of the 2010 season. (Click here for video) At the age of 13, Howie left his hometown of Charleston, SC and hitchhiked to New York City. He “saw the lights of the city”, rode “the electric buses”, and quickly “came into a New York State of Mind”. He began playing softball in Central Park in the early 1950s, joining Morty on Diamond 2 in the 1970s. 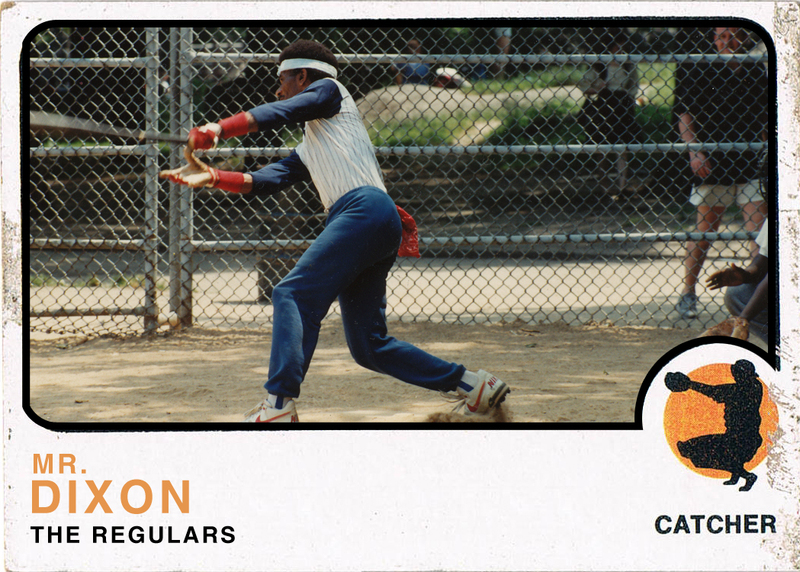 Known on the field for his speed and behind the plate “playing the dozens”, he was also revered for his knowledge of Central Park history and bench politics. 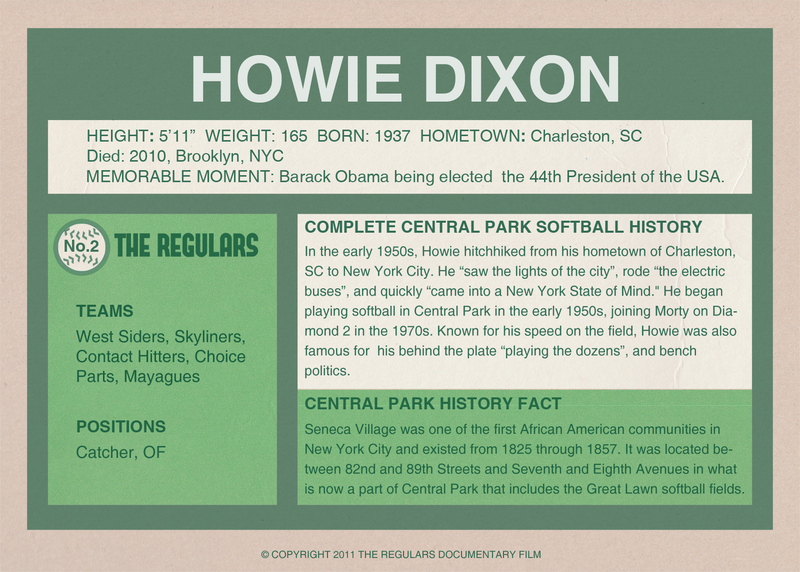 Howie Dixon was a vital thread in the fabric of the Central Park Softball Community. You are greatly missed this season, Howie!